High degree of stability, energy efficiency, increase in value, range of surface finishes, narrow frame view, smooth operation, minimal maintenance and long service life. You create quality of life with aluminum products - for a lifetime. Download 2019 ALUMINUM PRODUCT CATALOG [pdf 1.1MB]. 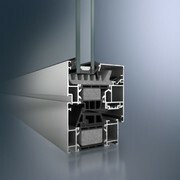 Benefits that make the Schuco AWS 70.HI (High Insulation) aluminum window system a genuine all-rounder for newbuilds and renovation. 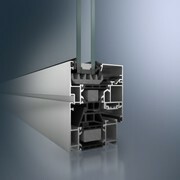 The high-quality energy-saving window has the unbeatable benefits of aluminum: durability, stability and robustness, narrow face widths and a wide range of design options - even with large window formats. 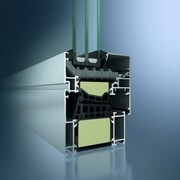 The Schuco AWS 75.SI (Super Insulation) highest thermally insulated window system sets a new thermal insulation standard for aluminum windows with an average Uf value of 0.25 Btu/(hr·ft²·F°) - without compromising on comfort and design. The narrow profile face widths ensure maximum transparency which guarantees that your living and work space is bright and flooded with light. The Schuco AWS 90.SI aluminum window+ (Super Insulation) is the first aluminum window with thermal insulation to passive house standard. In conjunction with the impressive properties of aluminum, a wide range of design options and sustainable building can become a future-proof reality like never before. The front door is the gateway to the interior of the home, where intimate stories are lived out. At the same time, the front door provides you with protection from the cold and unwanted visitors. 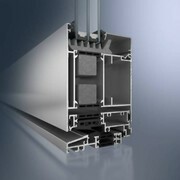 Schuco front doors set standards in terms of thermal insulation and security. Aluminum front doors are perfectly suited to daily requirements and loads. Even with greater loading, they are extremely stable, provide thermal insulation and are resistant to deformation, as well as offering corrosion protection and weather resistance. Schuco sliding doors offer a high level of comfort in your home by maintaining a constant, agreeable room climate; it also saves valuable energy and reduces high costs. And this is not only on cold days, but also in summer. Because then, the heat stays outside and the cost of air conditioning can therefore be considerably reduced. 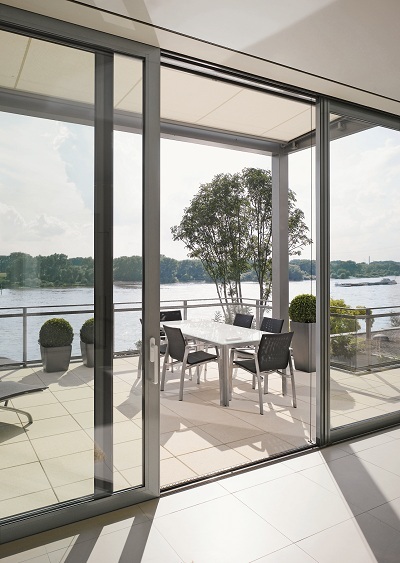 Aluminum sliding doors create rooms flooded with light and attractive views as well as setting accents. Their space-saving design allows new, spacious room concepts with an improved standard of living to be created. All sliding constructions are impressively smooth and easy to handle. This makes them ideal for universal use in private homes.